The motor yacht Alter Ego with a crew of 11 covered 5,000 kilometers on an Arctic route over a month and cast anchor in Murmansk in early September. 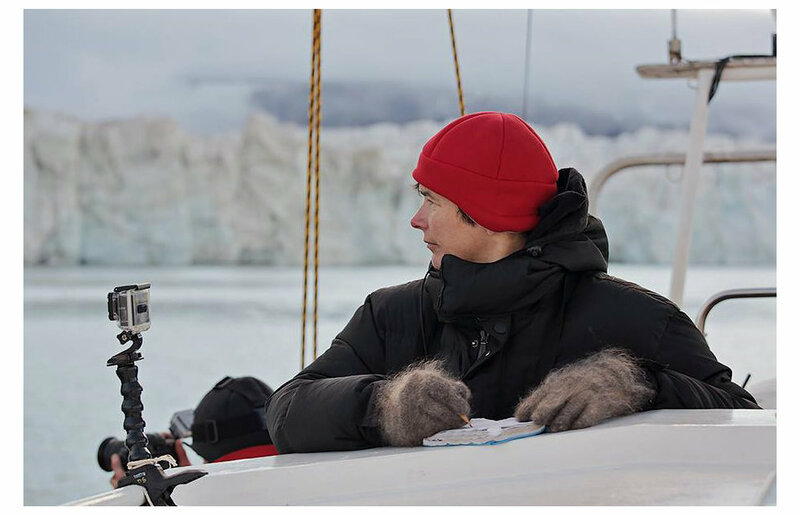 Arctic.ru interviewed expedition research head Maria Gavrilo on the details of this expedition. Ms. Gavrilo, can you tell us about the yacht that carried you along the entire route of the expedition? The specific feature of the Open Ocean: Arctic Archipelagoes 2016 Expedition was the vessel on which it was made, the 20-meter motor sailing yacht Alter Ego with the deadweight of 42 tons that can carry 11 people. It was built in Mariupol on the Sea of Azov but currently sails under the Maltese flag. Unlike many other yachts of this class, Alter Ego has a longer endurance because it can take six tons of fuel, and a steel hull. This is why we chose this yacht for our expedition, which took us to remote regions, including the Arctic. In addition, Alter Ego is more environmentally friendly and maneuverable than many other research vessels, which need a great deal of fossil fuel and are more expensive to operate. The yacht can also be used in shallow coastal areas. 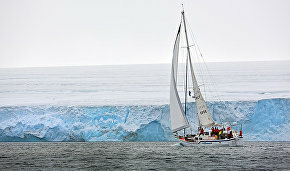 We first tested the yacht during the 2012 expedition to Franz Josef Land. We had to make a serious investment in the vessel's improvement, because it was docked in a port without any maintenance for the previous year. We did this very quickly, thanks to our friends, associates and sponsors, and completed the expedition as planned, including by moving along part of the route through drifting ice north of Franz Josef Land. Not all yachts, including those that reached the archipelago, have managed to travel as far as its northernmost islands. The Open Ocean: Arctic Archipelagoes 2016 is the only expedition that used a yacht to tackle both the theoretical and practical aspects of a biodiversity and marine ecosystem survey near remote islands in Russia's Arctic zone. The yacht can carry 11 people. Who were they? Unlike large vessels, the division between the crew and the researchers is not strict on a yacht. Four people on our team were responsible for running the yacht, five others focused on research, and the remaining two did both. The expedition was conducted under a project called Mainstreaming Biodiversity Conservation into Russia's Energy Sector Policies and Operations of the UN Development Program (UNDP), Global Environment Facility (GEF) and Russia's Ministry of Natural Resources and Environment (UNDP/GEF — NREM). It is aimed at promoting the package of measures for biodiversity conservation, designed, in part, to prevent the death of animals from the potential oil and petrochemical pollution in Russia's Arctic zone. The expedition's goals was to update information on biodiversity and the coastal areas of the remote Arctic regions, or more precisely specially protected areas — Franz Josef Land Reserve and Russian Arctic National Park in the north of the Novaya Zemlya Archipelago. The results of our expedition should help work out measures to protect biodiversity from possible oil spills. We updated information on the main local species and their habitat, primarily the polar bear, the Atlantic walrus, the ivory gull, and seabird colonies, that is, the indicator species whose survival is vital for Arctic biodiversity. Another task was to study the coastal areas' wildlife — freshwater and terrestrial invertebrates, the flora and plant communities, and the coast as a geomorphic object. There is very little or fragmented information about Arctic freshwater and terrestrial invertebrates and plant communities, whereas this data is crucial for compiling environmental response maps to potential oil and petrochemical pollution and for relief efforts. The information we collected can be used to make large-scale environmental response maps not just of the region but also of its individual islands. Pin-point measures must be taken in the event of pollution: we must know which island or part of the coast needs priority protection. Since there was not enough information for compiling large-scale environmental response maps, our expedition focused on specially protected areas on the Barents Sea coast and near the license areas that have been assigned to Rosneft and Gazprom Neft, which can start developing them any day in a favorable economic situation. It is the main reason why so much attention is being given to the region and why the funds have been allocated for our work. Can this survey be done from space? Absolutely not. Satellite data is a powerful tool, but satellite survey must be accompanied with work on the ground in the satellite-covered area. Satellites can provide information about the nature of the coast (that is, whether it is an ice, abrasion or accretion coast), and about the existence or absence of various natural elements. But they cannot provide concrete data on the composition of plant communities, the animals that live there. In other words, these two forms of survey are mutually complementary but not interchangeable. We also collected samples of zooplankton, benthos and soil for pollution studies, which cannot be done from space. Have you made any discoveries during this expedition? It's true that we have collected a great deal of information, but whether it is unique or not can be determined only after it is analyzed. For example, the invertebrate samples need to be studied in a laboratory. On the other hand, we collected information about coastal wildlife in the areas which have never been studied before, and so even the mere description of these communities is a discovery on a regional scale. Before that, we knew nothing about animal and plant life there. The changes compared to the past years are obvious even to the naked eye. For example, we have visited all the marked walrus breeding grounds in the region, and now we know, even though approximately, their number and distribution and hence can assess the change from one year to another. 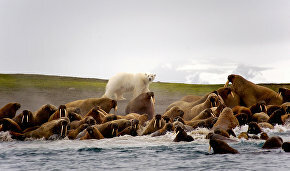 I would say that the walrus population in this special protected natural area is quite healthy. We also visited the marked breeding grounds of ivory gull, also a protected and Arctic biodiversity indicator species. Unfortunately, we found out that the largest breeding grounds were empty. 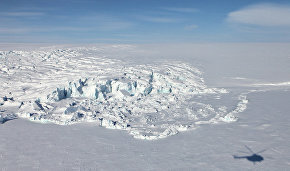 One explanation is climate change and the contraction of the ice cover. Another reason is local predators: the bird colonies were decimated by polar foxes. But we also found two unmarked colonies in less accessible areas. We can conclude that this species has been trying to adjust to changes in the situation, moving their breeding grounds to glaciers where foxes cannot reach them so easily. These are preliminary conclusions. We have also noted the low number of whales this season. I have worked on marine expeditions in this region for seven consecutive years, and I can tell you that the number of whales is the lowest this year. We have no explanation yet. At the same time, we met a seismic survey vessel between Franz Josef Land and Novaya Zemlya, around 79th or 80th parallel. This means that they have not started production yet but are actively conducting additional exploration there. A seismic survey can have a negative effect on whales, but we cannot be sure that this is the explanation for the decrease in their population. We need additional studies and regular monitoring. You will prepare recommendations based on the results of your expedition. We can assume that you will prove the connection between seismic survey vessels and the migration of whales. But will this affect mineral production in the region? I cannot be sure that we will prove anything based on this year's survey. We don't have enough data for this yet. But one of our goals is to offer recommendations, at least on the timeframe, environmental support and production areas so as to minimize the conflict between wildlife and the industrial development of the Arctic shelf. Animals have distinct seasonal dynamics and migration patterns, that is, some areas can be more important for animals in the summer and others in the fall and winter. This pattern can be used to harmonize production timeframes and areas in order to minimize potential conflicts and risks. Can you tell us about your plans for the next few years? This year the Marine Heritage: Studying and Preserving Association organized an expedition under the Open Ocean: Arctic Archipelagoes project. The association plans to hold other targeted expeditions in remote ocean regions to identify and preserve our natural, historical and cultural marine heritage. We will keep working on this. Our expedition was held thanks to the efforts of many concerned and caring people, as well as organizations and establishments that provided different kinds of assistance at all stages of preparing and holding our expedition. We are grateful to all of them and also to our sponsors — the companies Sätila and SMM, and the Military and Historical Center of the Northwestern Federal District — for their support.